Neutral Bay, NSW - 2089 Australia. 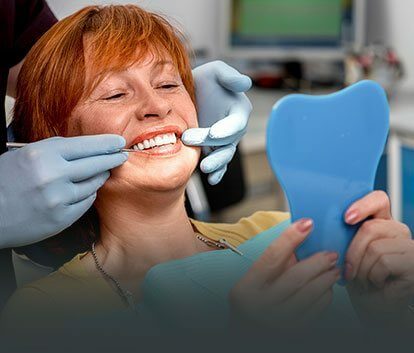 When they’re searching for a leading team of experts ‘near me’ who can supply partial dentures to suit any smile, Sydney residents know they can’t go past the staff at Denture Care Clinic and their 25 years of experience. 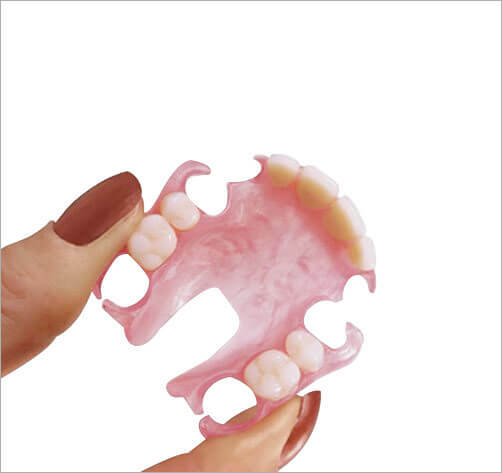 Scroll down to view our range of high-quality partial dentures, and find the perfect solution for your smile. An Innovative flexible, lightweight, biocompatible, thermoplastic nylon made from soya bean extract with unique physical and aesthetically pleasing properties ensuring a denture that is more comfortable to wear and eliminating the use of metal clasps. Its translucency allows the patients natural tissue colour to appear through the material so no-one needs to know you are wearing dentures! Consists of metal clasps that are C-shaped, I-shaped and Y-shaped. They fit around neighbouring natural teeth. 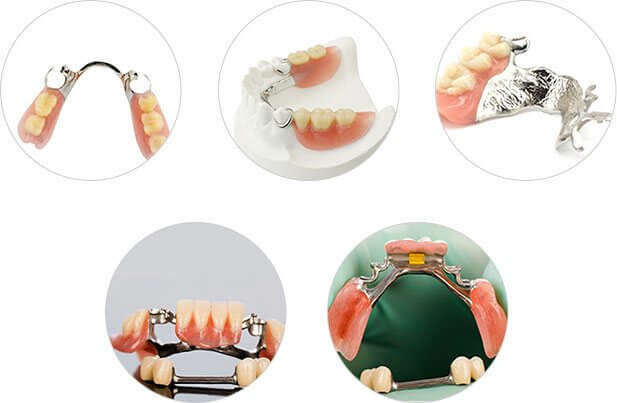 These teeth may require shaping to help hold the clasps and keep the denture securely in place. Similar to a key fitting into a keyhole. A crown that is placed over your tooth contains the “keyhole.” The denture contains the “key.” When you put in your denture, the “key” fits into the “keyhole” in the crown. This type of denture looks better because no clasps are visible. It also fits tighter. However, it does take more skill to place in the mouth because the “key” must fit exactly into the “keyhole”. Copyright © 2019 Denture Care Clinic. All Rights Reserved.